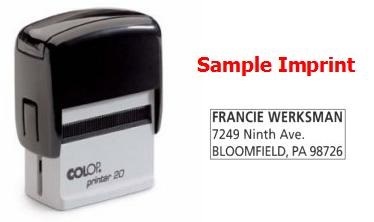 Custom Made Self-Inking Stamps Our most popular COLOP® Printer range are manufactured from durable and extremely light plastic. Clean and easy to use! The inbuilt ink pad will last up to 10,000 imprints and can easily be changed. Ink pad colours are available in Black, Blue, Red, Green or Violet. Clean and easy to use! Ideal as a small address stamp. Size - 10 mm x 27 mm. The inbuilt ink pad will last up to 10,000 imprints, and can easily be changed. Use COLOP® E10 replacement ink pad. To order please print, complete and fax to us this stamp order form. Ideal as a small/medium address stamp. Size - 14 mm x 38 mm. Use COLOP® E20 replacement ink pad. Ideal stamp for longer addresses with telephone numbers. Size - 18 mm x 47 mm. Use COLOP® E30 replacement ink pad. Size - 23 mm x 59 mm. Use COLOP® E40 replacement ink pad. 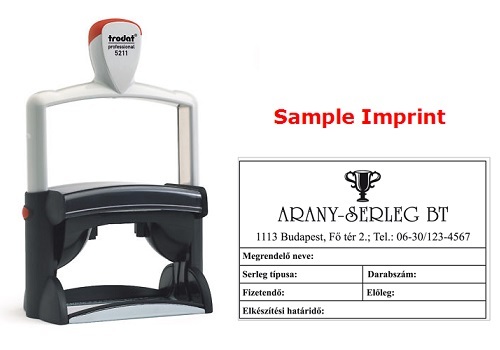 Ideal stamp for company name and address with logo included. Size - 30 mm x 69 mm. 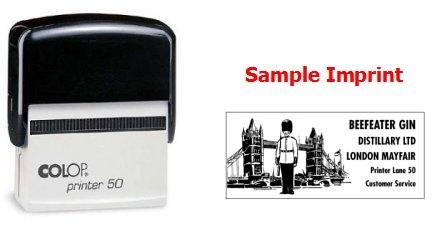 Use COLOP® E50 replacement ink pad. 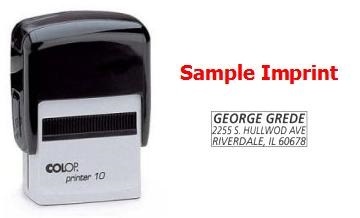 Ideal stamp for company name and address with or without logo included. Size - 40 mm x 60 mm. 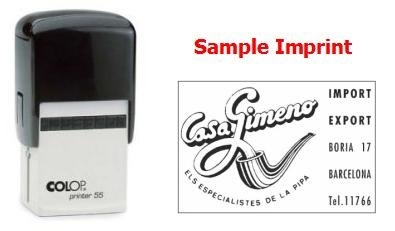 Use COLOP® E55 replacement ink pad. Ideal stamp for long messages, long addresses and/or accounts stamps. Size - 37 mm x 76 mm. Use COLOP® E60 replacement ink pad. Ideal stamp for company seals, common seals and stylish logos etc. Size - 40 mm diameter. Use COLOP® ER40 replacement ink pad. 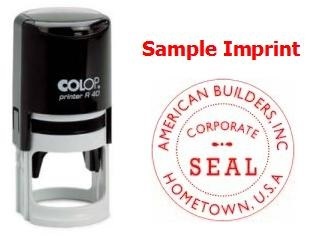 Ideal stamp for company seals, common seals, larger circular designs and logos. Size - 50 mm diameter. 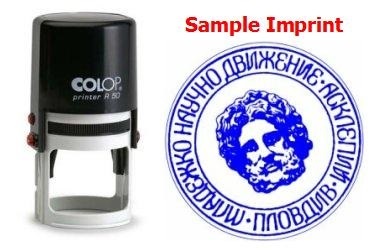 Use COLOP® ER50 replacement ink pad. New! 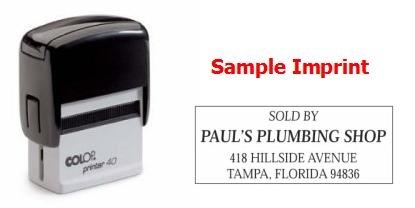 The largest heavy duty self-inking stamp now available. 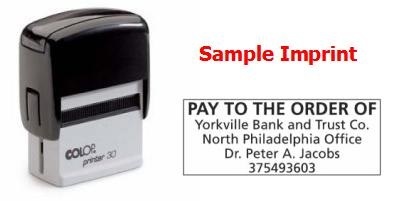 Ideal stamp for large addresses with logos, departmental cost centre and accounts stamps. Size - 55 mm x 85 mm. Available with Black ink only.